After growing up in a record store, facilitating to develop the sound of Mo’s Ferry Prod. and launching his own label Clap Your Hands Marcel Knopf is big in business now! So it was time to spent some hours in the studio again in between all his touring through Germany… And up it goes! With the club smasher ‚Command‘ Knopf blows some ears away and leaves the crowd in disbelief. 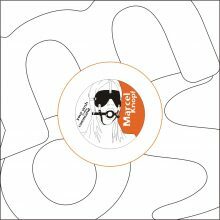 ‚Aint Love‘ joins the dancefloor as well as it is the typical Knopf-alike oldschool “Frickel-House”. The digital bonus track ‚Sacritool‘ represents his sound orientation on Clap Your Hands – modern, tooly Deephouse!